Surgeons pulled out the ice pick by performing video-assisted thoracic surgery, which is a type of minimally invasive thoracic surgery, performed with a small videoscope using small incisions and special instruments to minimise trauma, without the need to open up the chest to gain access to the lungs. 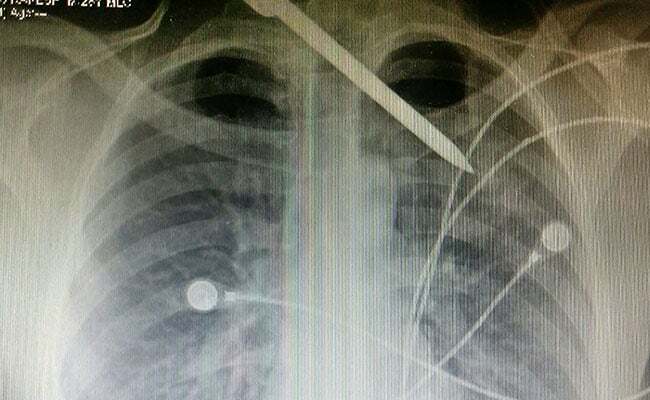 New Delhi: Surgeons at the AIIMS have successfully removed an ice pick lodged deep in the upper chest of a 27-year-old man through a minimally invasive video-assisted thoracic surgery. The man was stabbed in his back by an ice pick in a market. The five-inch metallic part of the ice pick went through his back, missing the spine, and pierced his left lung leaving him critical. Professor of surgery at the AIIMS Trauma Centre, Biplab Mishra said the patient was initially taken to a nearby private hospital where they performed a CT scan of the area. However, nobody operated upon him and finally he was brought to the AIIMS Trauma centre. "Classically thoracotomy is done in such a case where we open the chest so that the impaled foreign body can be removed under direct vision and control. But in this case we achieved the same using minimally invasive technique which is also called Video Assisted Thoracic Surgery and thus the impaled ice pick was safely removed (under proper vision and control). The whole procedure took less than an hour," Dr Mishra said. 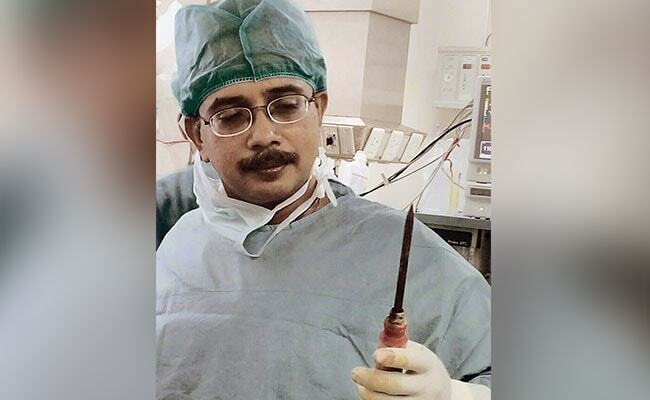 According to AIIMS Trauma centre chief Dr Rajesh Malhotra, the ice pick had perforated his upper left lung and if not removed on time, it would have led to infection and intense internal bleeding leaving him choking to death. Usually when the foreign body is still inside tissues, it itself limits the bleeding by its tamponading (pressure) effect. "When the foreign body is removed or pulled out, the bleeding manifests due to loss of tamponading effect. This is why it is strongly advised people should never try to pull out any impaled foreign object on their own. They should be removed on the operating table under general anaesthesia by a surgeon," he said. "The patient was discharged on the seventh day of the operation. The patient's recovery was so fast that it was almost impossible to say that the patient had undergone such a major surgery just by looking at the patient...after one day after the surgery the patient was fully ambulatory, Dr Mishra said.